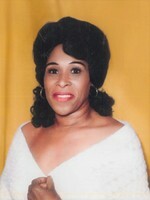 Provide comfort for the family of Dorothy Durette with a meaningful gesture of sympathy. Dorothy Durette was born December 29, 1930 and departed this life for her eternal home on Tuesday, March 26, 2019. Her remains will lie in state on Friday, April 5, 2019 from 1pm until 8pm at Small’s Mortuary, Mobile, AL. A visitation will be held on Saturday, April 6, 2019 from 8am until the 10am funeral Hour at Revelation Missionary Baptist Church, 1711 Taylor Lane, Mobile, Alabama. To send flowers in memory of Dorothy Parker Durette, please visit our Heartfelt Sympathies Store.